Natalie grew up on a farm on the tiny volcanic Caribbean island of St. Vincent. Frequent consumption of organic fruits and vegetables was the way of life for Natalie, so when she migrated to New York City for college, she was surprised by the disconnection between consumers and their food sources. She was also concerned about the obesity and diet-related diseases epidemic she witnessed in her community. This, coupled with her passion for fresh farm food and her love for cooking, prompted her to leave her corporate career to pursue a Masters of Science in Nutrition and Dietetics at New York University. During this time, Natalie was introduced to the Washington Square CSA, she became a member in 2010 and joined the Core Team in 2011. She has rotated through almost every role in the CSA over the years. Currently, she is the administrator, treasurer and farm communicator. 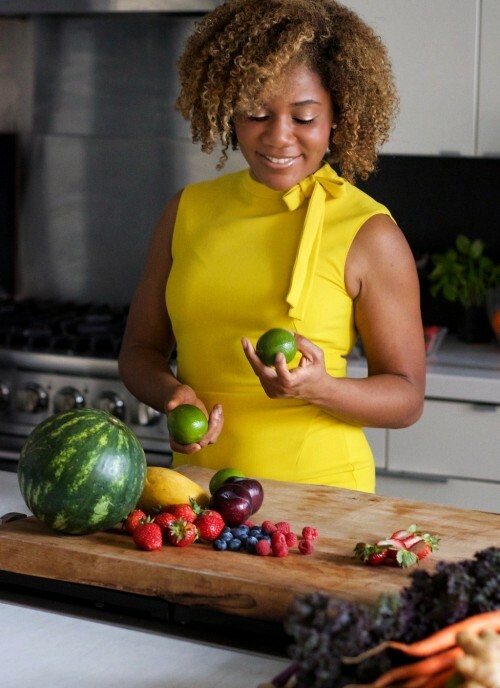 Professionally, Natalie educates communities on how to live a healthier lifestyle through food. She also manages the Food Justice program at the Children’s Aid Society. This program empowers youth and their families from economically disadvantaged backgrounds in New York City to explore how food and social justice intersect in their communities. The curriculum also includes nutrition education, cooking and gardening classes – basic life skills required to lead a healthy life.